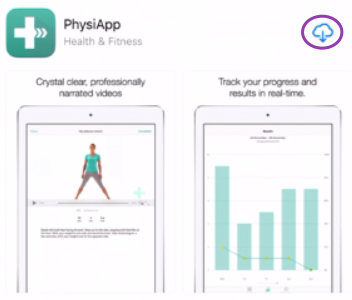 PhysiApp® downloads your exercise program over the Internet. 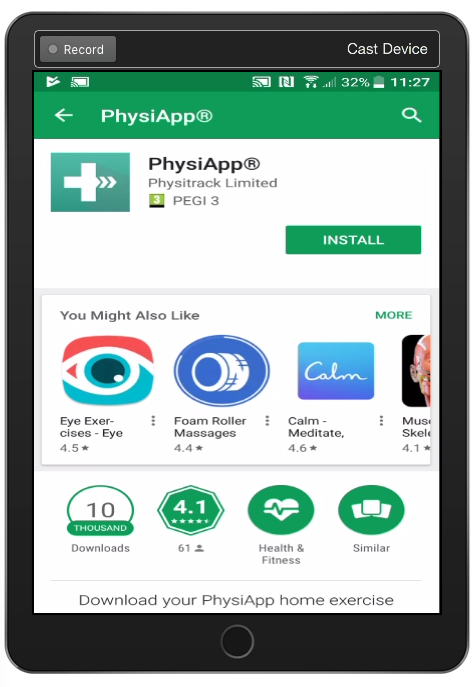 For iOS and Android, you will need to go to your App Store or Play Store respectively to download the free app. Go to your App Store. Tap the download icon (the cloud). 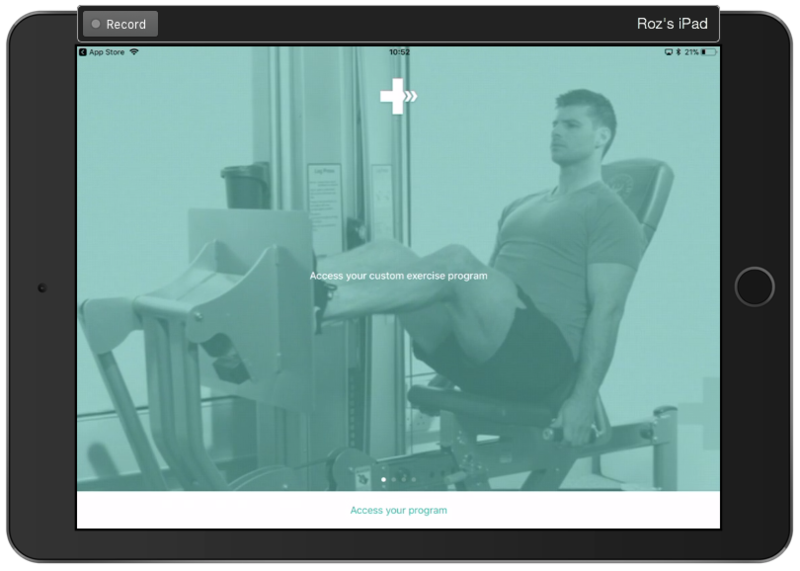 Open your app and select "Access your program" (bottom of the screen). 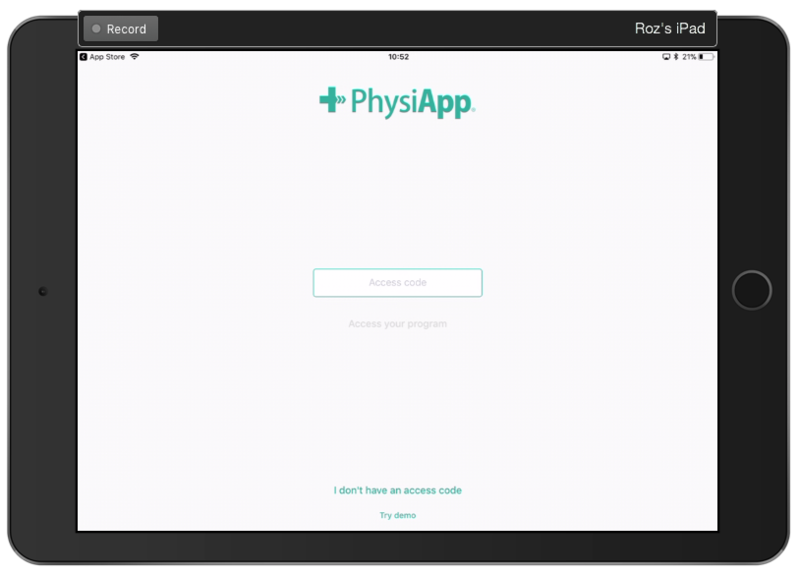 Enter your access code provided to you by your clinician to retrieve your program. 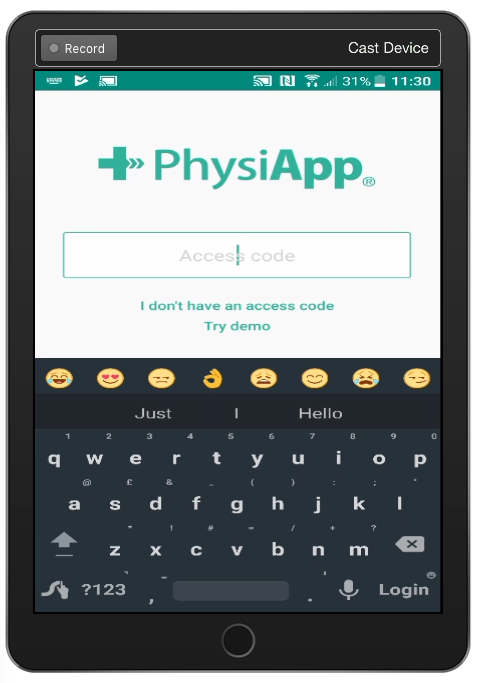 Open your app and enter your access code provided to you by your clinician to retrieve your program, and tap "Login"